US defence aid to Israel is likely to increase after 2017, sources on both sides said on Thursday, seeing a possible link to Washington’s efforts to assuage its ally’s fears over nuclear diplomacy with Iran. A present package worth $3bn a year expires in 2017. A US official, speaking on condition of anonymity, said negotiators were close to a new deal that would bring annual payouts to $3.6bn to $3.7bn on average. An Israeli official, who also declined to be named, put the expected aid at between $3.5bn and $4bn. “[The United States] are trying to douse the fires after our flare-up about the Iran deal,” the official added, referring to curbs being negotiated on Tehran’s disputed nuclear programme, which Israel has condemned as insufficient. Responding to reports that an increased defence aid package was in the works, the Israeli prime minister, Binyamin Netanyahu, confirmed there were such discussions with the Americans but said he would keep campaigning against Iran. “There is no trade-off requiring I agree to this [nuclear] deal with Iran. 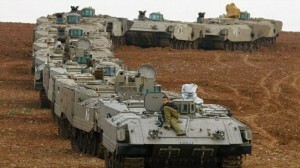 The deal is bad and we will continue to oppose it,” Netanyahu said in remarks quoted by Israeli broadcasters. “While we anticipate discussions in the coming period between the US and Israeli governments about how long-term security cooperation between the two countries can be further strengthened, no such detailed discussions at a senior level have occurred recently,” Baskey said. The previous US administration signed a 10-year deal with Israel in 2007 giving it $30bn, most of which must be spent on American military products. Washington has earmarked hundreds of millions more dollars for Israeli missile defences. A year ago, with talks about the new aid package under way, a US official said Israel was seeking a significant increase but that the Obama administration, beset by domestic cost-cutting, was unlikely to agree beyond adjusting for inflation. Since then, the US and five other world powers have pressed ahead with the Iran negotiations, setting a 30 June deadline for a final accord. Tehran denies seeking nuclear weapons. The talks have been dogged by disputes about the degree to which projects with bomb-making potential should be capped. Israel’s worries about the diplomacy have been echoed by Gulf Arab leaders, whom Barack Obama hosted on 14 May and sought to reassure with offers of boosted defence. Such aid to Gulf Arabs has often ushered in increases in aid to Israel, whose military “qualitative edge” in the region successive US administrations have pledged to preserve.